Orrey and Kristi McFarland share the story of their adoption jouney with CPO. Our adoption story starts like many others. We had been trying to start a family for years, and we had been through numerous tests, but the only result was unexplained infertility. We knew adoption was a possibility, but it felt somewhat out of reach. Then we were contacted by a cousin of mine (Orrey) who had adopted through CPO. She told us about how great the agency had been for her and her husband in adopting their son. After a lot of prayer and conversations, we felt called to adopt and we contacted CPO. We attended the Waiting Families Workshop and over that weekend we were convinced that CPO was the agency for us. After 8 months of waiting our lives changed forever on April 10, 2018. My wife, Kristi, and I got a call from our CPO counselor. A birthmom wanted to interview us. Five minutes later — time to try to compose ourselves and say a quick prayer — we spoke with her. A few minutes after that, she had officially chosen us. We were thrilled beyond belief. Four days later we found out that she was going into labor a couple of weeks early, so Kristi hopped on a flight — although from Oklahoma, we live now in Ohio — and I drove 13 hours through the night to Tulsa. We were present for the birth of a beautiful, healthy boy. We were immediately in love: our hopes, dreams, longings for a family had been realized in this child. Little did we know that 22 days later we would see him leave with his birth family, and that we would drive back to Ohio after a month of being gone. A car full of baby stuff, going to a home full of baby stuff, but with no baby. It was the most devastating, heartbreaking loss of our lives. Right after handing over our baby boy, a CPO counselor and family met with us to pray with us, to share in our tears, and to point us towards hope even as they affirmed us in our grief. We knew that we would try to adopt again, but we didn’t know how we could move on after this loss. Nevertheless, after two months passed, we decided to put our book back out to view. The first time it had taken 8 months. We assumed the process would take a while again, giving us more time to grieve, heal, and pray as we waited. So, of course, we were selected again in a matter of weeks (to be clear, this is not quite normal!). We were surprised and conflicted. It was hard for us to imagine going to Tulsa again so quickly — to St. Francis again! — to be with another baby, when we were already experiencing such a huge range of emotions every day. 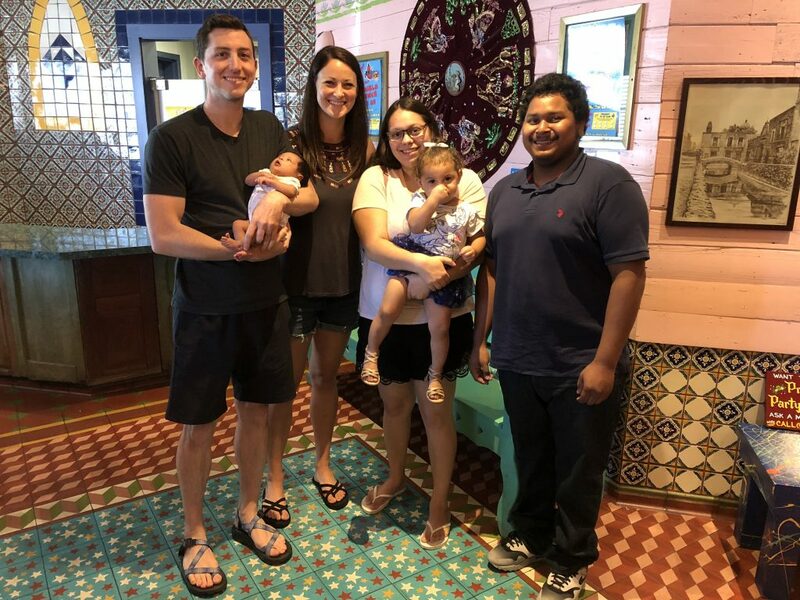 Through encouragement from CPO counselors and families, we put one foot in front of the other to go through the interview process with these new birthparents, to make travel arrangements, and to go back to Tulsa. 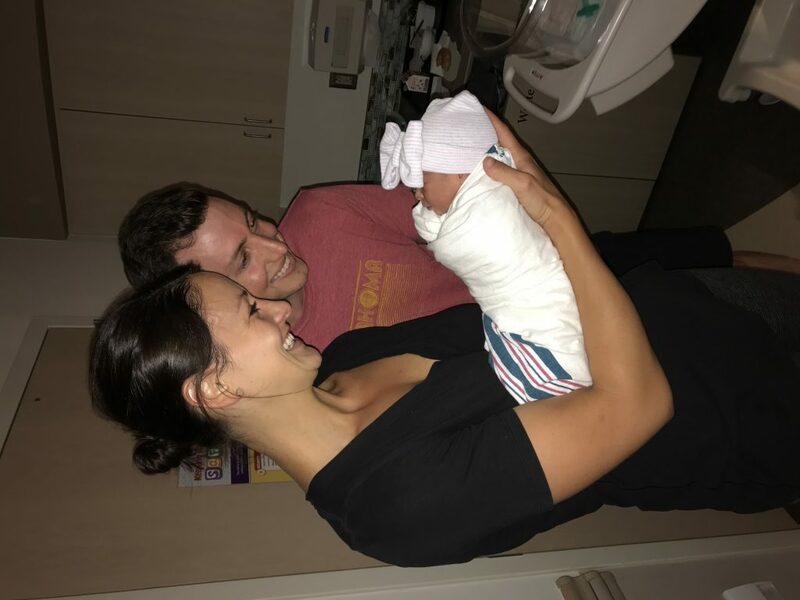 Lainey Grace arrived early — right after midnight — on July 3, 2018. She was placed into our arms: a beautiful, healthy girl. We couldn’t believe that we had been selected again; that Lainey’s birth parents believed in us to parent and love this little girl. That this little life, with her wondrously full head of hair (and powerful lungs), was ours to hold, to love, to care for. 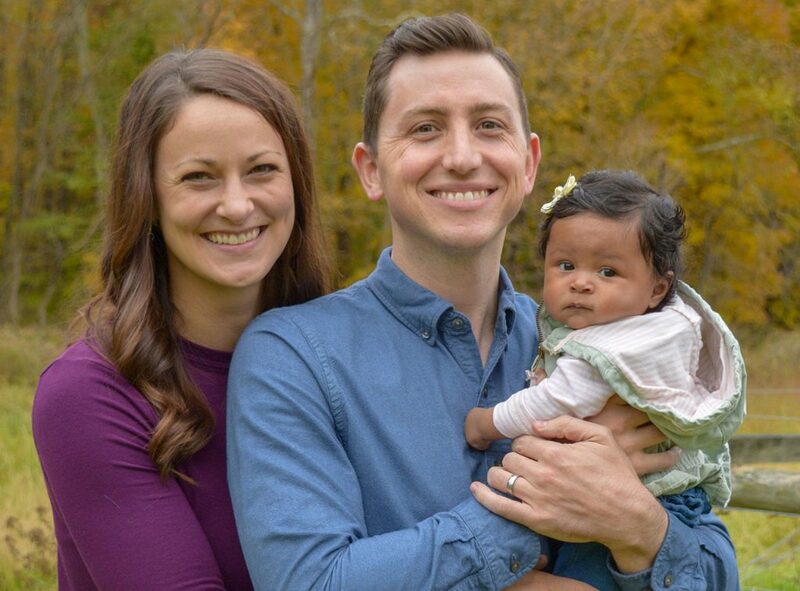 We were able to start building a relationship with her birth parents before she was born. A gift of open adoption is that Lainey will always have that many more people loving her, supporting her, and sharing in her life story. 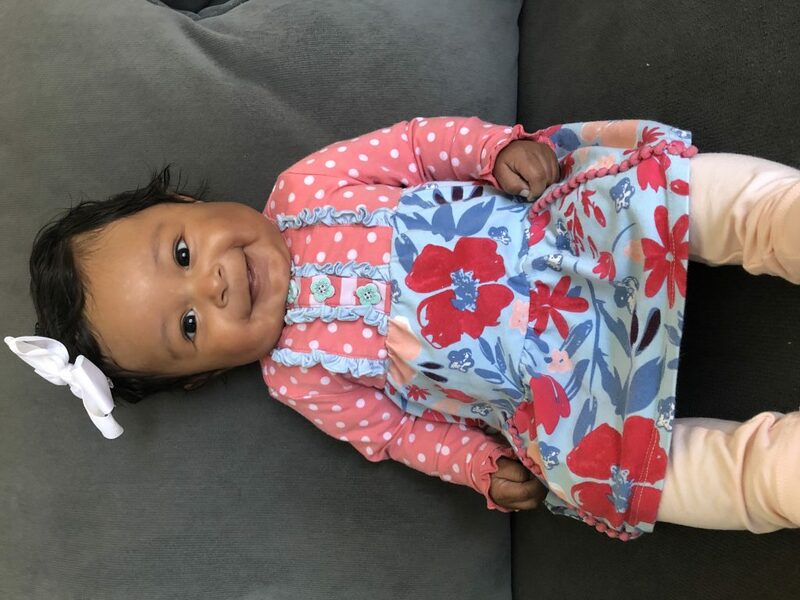 And in ways that they probably didn’t realize, Lainey’s birth parents helped us to grow in trust and in love because of the trust that they put in us to raise this precious girl. 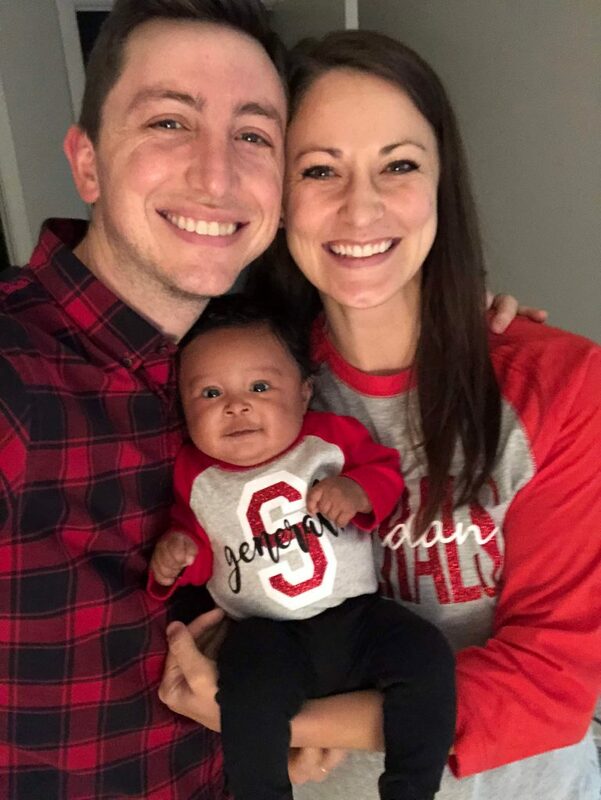 After our experience in May, we were aware, more than ever, of how “risky” this relationship could feel, but that experience also gave us the smallest of glimpses into their part of the adoption story (the heartache, grief, and questioning they were feeling). This made us all the more thankful for how much they were willing to trust us. Lainey is growing and developing every day, and we marvel that we get to call her our daughter. She is the joy of our lives — a bright light out of the darkness. We give thanks to God every day for this beautiful gift that her birth parents gave us, our “Lainey Bug,” and we can’t now imagine life without her. Without her smiles and her laughter; without her little personality we see coming out every day; without getting to love her every day. We would’ve never chosen to have this year go the way it has gone. And yet now we wouldn’t remove the loss and pain, because we wouldn’t erase our relationship with a beautiful boy whom we delighted in for those 22 days. We are still in contact with his birth mom; he is happy, healthy, and loved. That loss will always be there, but in the midst of that loss we received a gift beyond anything we could’ve hoped for. 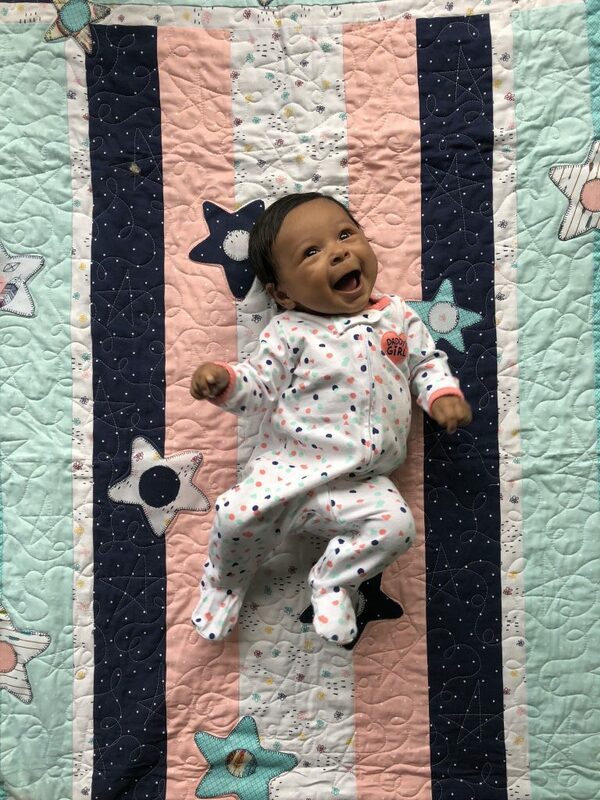 And we are excited to see our relationship with Lainey’s birthparents continue to develop — they will be a significant part of her life, and she will know them and the love they have for her. We are incredibly grateful to everyone at CPO for the way they have walked through this year with us, and we feel blessed to know that they will be by our side in the future, too. The adoption process is hard, but it is worth every step. Our Lainey Grace reminds us of this truth every day. So beautiful! She us truly loved by you and her Church family as well. So happy for such an awesome couple. Lainey definitely got parents of God! Family complete!! Congrats. What a beautiful story. It is hard in making the decision to adopt. Once you hold that child in your arms and the adoption is final you know God has shown his face upon you. What a beautiful story. I read it through my tears. I think the world of both of you and your lesson that grief and loss are a part of life. It teaches us what love truly is. I can’t wait to visit you and play with Lainey Grace on our next trip home to Ohio. God doesn’t close one door without opening another. This truly beautiful loving couple are so blessed with God’s most precious gift, Lainey Grace. She’s adorable and loved.